NEW DELHI: Noble Skiodo has launched a 32-inch smartTV in India at Rs 19,999. The Android-powered TV features an anti-glare O Dot panel and comes with Miracast display. The TV is exclusively available on Amazon’s India website. The HD smartTV comes with an LED display of 1366Ũ768 pixel resolution. Powered by a quad-core Cortex A7 CPU, the device offers 1GB of RAM and 4GB of internal storage, which can be used to store digital content. Noble Skiodo 32SM32P01 has built-in Wi-Fi and also other standard connectivity options like USB, HDMI, VGA and LAN. The three HDMI ports can be used to connect the TV to numerous devices such as PC, gaming consoles and DVD players. Users can also connect external devices with USB to urn the TV into a complete entertainment hub. 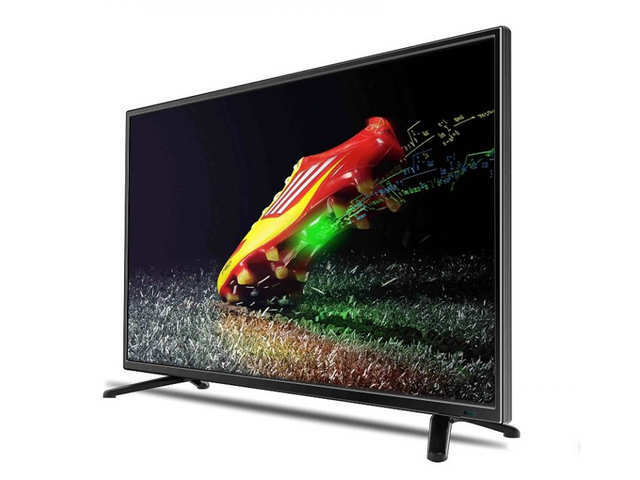 Earlier this year, Noble Skiodo TV launched its 42-inch 4K Ultra High Definition LED television with model number 42KT424KSMN01 at a price of Rs 49,000. The TV is equipped with Wi-Fi and allows users to stream live videos, surf the internet or watch YouTube. It is bundled with a motion-sensing remote with a built-in keyboard that enables users to type in URLs as well. The TV comes with MHL Compatibility and is based on Android 4.2.2 operating system. It boasts of direct LED lighting A+ grade panel which claims to offer the accurate colours. On the audio front, the TV boasts surround-sound effect. Additional features include volume adjustment through bass and treble adjuster along with an auto volume leveler. Users can also connect any device to open files, play music, watch videos, etc. using a USB drive. The in-built digital media player supports various media formats, so all you need to do is plug in the USB stick and enjoy your digital content.